I can hear you saying what on earth is a dribble bar ? Well it's basically a bar shaped attachment for a watering can, farmers use tractor mounted ones, but they are more or less the same thing, as to what one might use a dribble bar for, well I've been reading a lot of books lately, gardening books,books about growing food on allotments and other plant related books, and most of them mention dribble bars for either applying weed killers or applying liquid plant feeds. 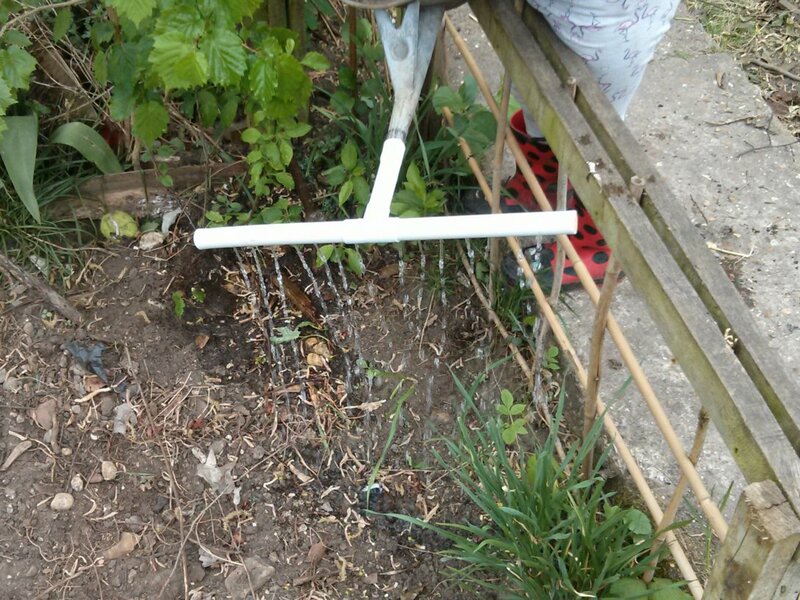 Seeing as we don't use any type of weed killer on our garden, but we do use feeds, natural ones made from nettles and such like I figured I'd make one, and because I failed to find one in any of our local gardening centers. Using a bit of old 22mm plastic over flow pipe I had and a 22mm plastic T, it took about 20 minutes to make. 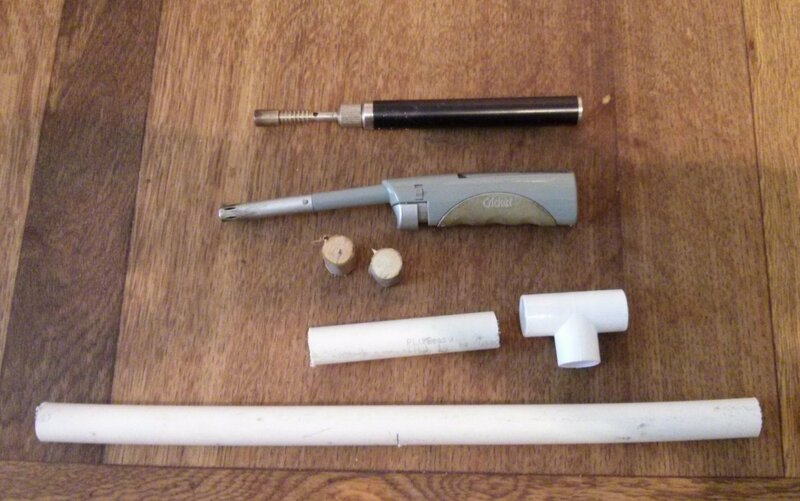 It's a basic plumbing job. 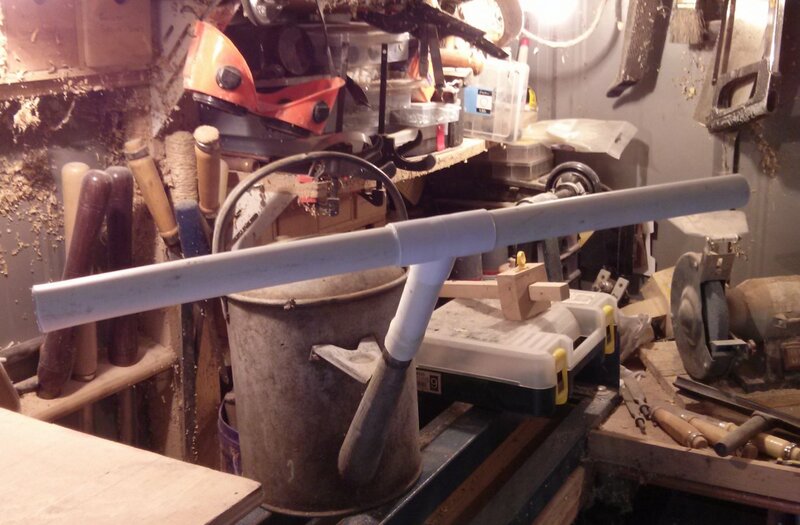 I took two bits of the plastic pipe, one short length for the spout of the watering can, and a 16inch piece to make the bar with, the two small bits of wood are to block each end of the bar, you could use stop ends, but I would have had to buy them, which would have put the price of the whole thing up. To get the short bit of pipe to fit onto the watering can spout, I just heated it up with my mini blow torch, a lighter or a candle will do just as well, you want to just warm up one end of the pipe so it's a bit more flexible, then work it onto the spout of the watering can, the watering can I'm making this for is metal, for a plastic watering can you can either use something to stretch the end of the pipe, like a pair of pliers, or maybe the T fitting will fit the spout already. About an inch should be plenty. 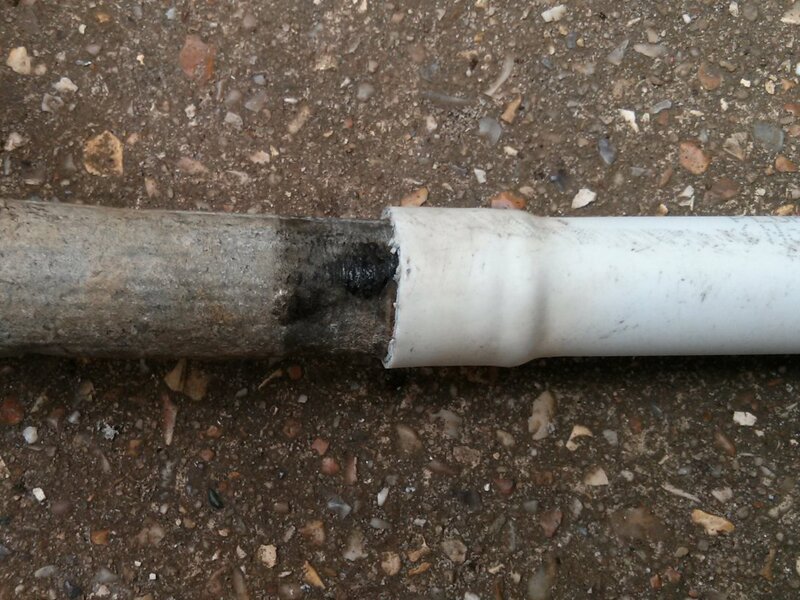 Once the plastic pipe cools down again it will contract slightly making a nice tight fit. 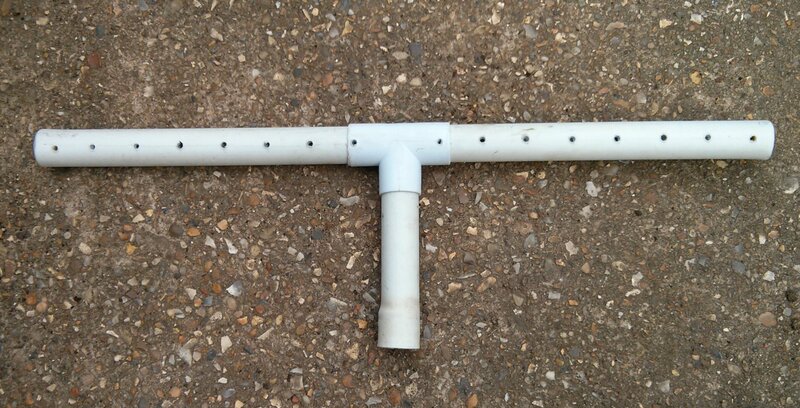 Next the bar section, for this I took the 16inch piece of pipe and cut it in half, then stuck each bit in either side of the T section, the fit is pretty tight so I won't need any glue. 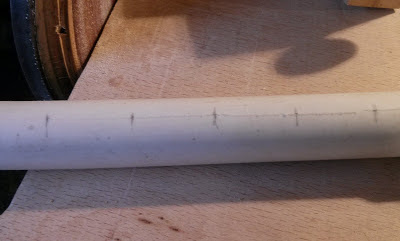 Simple, now to block up the ends. 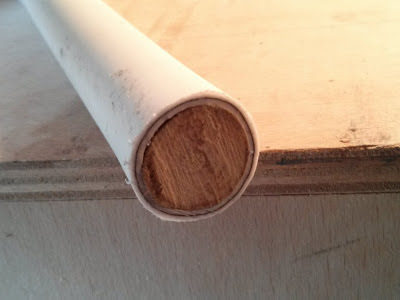 On to blocking the ends, I've just used a couple of bits of a small branch, I sanded them down a touch so they just fit into each end of the pipe with a little tap from a hammer, again as it's a tight fit I won't need glue. Now just needs a little tap with a hammer. 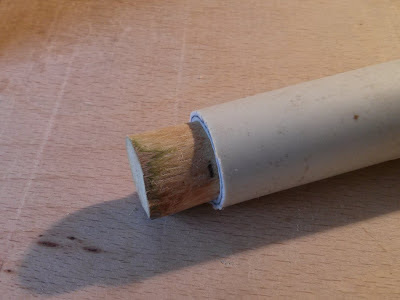 All you need to make the holes is a drill, with a 3mm drill bit, if you find the holes are a bit small then try a 4mm, it's easier to make a small hole bigger than it is to make a big hole smaller. 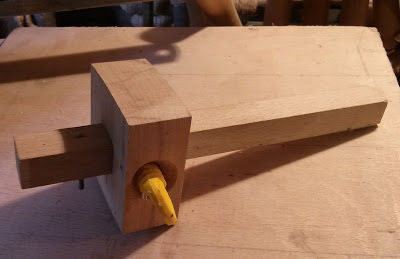 I used my mortise gauge to score a line roughly along the length of the bar, then measured out where I was going to put the holes, I made them an inch apart. Very cheap, and handy to have. 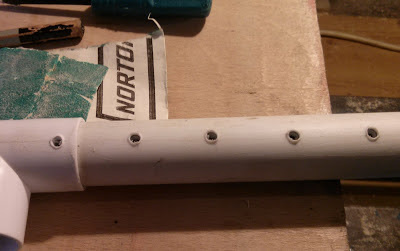 Once I'd drilled the holes I had to clear some of them out as they had bits of plastic in them, I just used a small screw driver, but any pointy type tool would do. Done, could easily be made from copper as well. 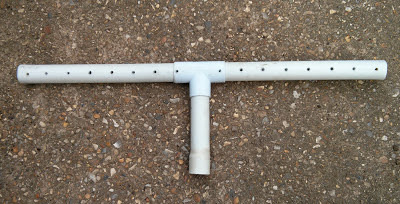 It cost very little, the cheapest I could find online was £4.99 for a plastic one, admittedly I had the pipe already, but you could always see if anyone is having any plumbing done in your area and ask them if they have a spare bit of pipe, or just make one for the hell of saying I made that.